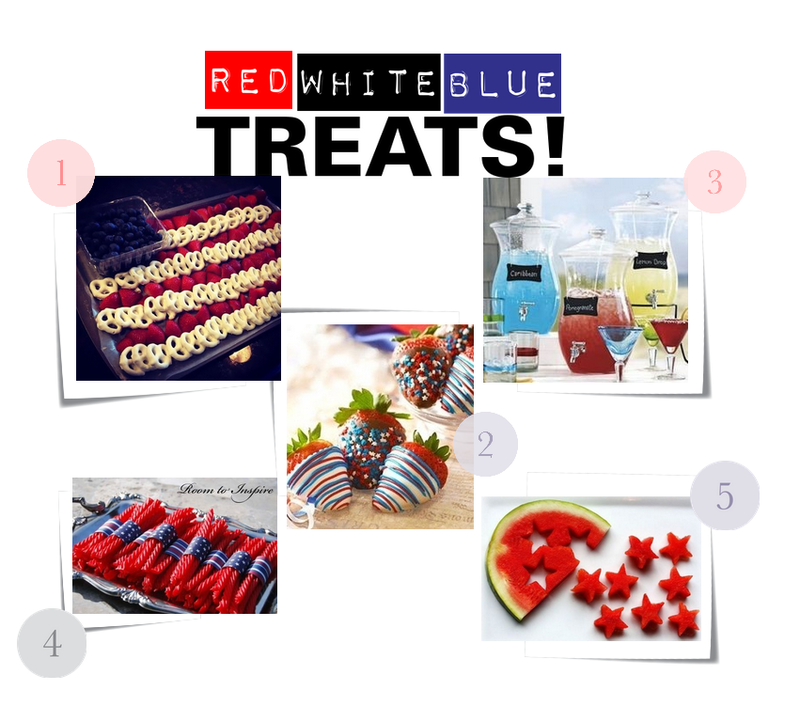 5 Quick and Easy Red, White & Blue Treats! Memorial Day is the day that we remember and honor those who have lost their lives while serving in the United States Armed Forces. Though we’ve been celebrating Memorial Day for almost 150 years in this country, the spirit of the holiday remains the same even today. However, the way in which we celebrate has certainly changed over the years. Where it began a sad, mourning holiday, it has grown into a celebration of life, a time to be with our loved ones and honor those lost. Everyone is talking about their Memorial Day plans to vacation, bbq, or just relax. Unfortunately, not everyone is able to take time off from being a superhero, like so many of you in the healthcare industry! Just because you may have to work, doesn’t mean you can’t still partake in Memorial Day cravings. For those with crazy hours or barely enough time to each lunch, take some quick snacks for you and your work family to enjoy this Memorial Day weekend with some red, white & blue themed treats. I pledge allegiance to the flag – All you need is a platter, grab some Blueberries, yogurt pretzels and cut up strawberries and be the center of attention with this delightful, healthy, and Memorial Day themed treat for your entire floor! Dip baby dip – Dip the most delicious berry in melted milk, dark, or white chocolate and toss on star shaped sprinkles. However, you don’t have to get fancy…even if you put chocolate on the side with a container of sprinkles and strawberries, it would still be a hit! Mocktails are better than cocktails – We know this is for work, so it can’t be a true cocktail…but flavored juices, whether freshly made or not, can cool you down when your shift gets too much to handle. Make up some fun names or use red, white and blue cups! The rockets’ red glare – Pack up some twizzlers that look like rockets and lay them out in grabbing reach…add some black licorice pieces to give it a kick! Bright stars thru the perilous fight – If you want to stick with some of the healthier choices, this easy cut-out technique will leave everyone in awe. Try using a star cookie cutter with all types of fruit like pineapple, cantaloupe, watermelon…etc! This is also is a great way to get your kids to eat fruits! Hopefully, some of these will inspire your own creations. You can’t bring in red, white & blue themed treats without dressing the part! Make sure you sport your red, white & blue Uniform Advantage scrubs, or some of our fun holiday prints. We would love to see some of your red, white & blue creations! Send us pictures, links, recipes…whatever you have, we’d love to see it and share it. ← Happy Nurses Week 2014! Nurses Rock….. Happy Medical Laboratory Professionals Week! We've partnered with Meta Labwear to celebrate you this week with a lab coat GIVEAWAY! 5 lucky winners will win a Meta Labwear coat of their choice (3 on Facebook, 2 on Instagram). To enter: 1. Like this post & follow @uniformadvantage 2. Tag a lab coat wearing friend who may want to enter too! 3. Comment & share what you can always find in your coat pockets! *Post in your stories for an extra entry! Giveaway entry closes Tuesday 4/23 at 12PM PST. **Must have a U.S. mailing address, giveaway is not affiliated with Instagram. Live in the moment & enjoy the adventure💕 Congrats @scrublifetoglamwife on being our weekly #adayinscrubs $25 eGiftCard winner! Be one of our weekly winners by tagging @uniformadvantage and using #adayinscrubs in your post. Find your new favorite color of the season in Easy Stretch by Butter-Soft new colors Flirt & Violet Breeze! Only at Uniform Advantage. Lab Coat Length – Fashion or Tradition? Jogger Scrub Pants for Everyone!